The Down Payment Resource Fourth Quarter 2016 Homeownership Program Index (HPI) found that the number of total programs increased to 2,463, up 2.8 percent from the previous quarter. Approximately 87 percent (87.3%) of programs currently have funds available for eligible homebuyers, roughly unchanged from the previous quarter (87.9%). Down payment challenges remain a key concern for first-time homebuyers. As many as one out of seven first-time buyers are tapping into their retirement funds to help with down payments, according to the most recent National Association of REALTORS® Profile of Home Buyers and Sellers. In fact, 14 percent of first-timers used either loans or disbursements from their 401k or IRA accounts for down payments in 2016. Yet only 3 percent are turning to sources like down payment assistance programs. “Homeownership program availability and funding remain strong in 2017. With recent increases in the mortgage interest rate and no reduction of the FHA mortgage insurance premium, entry level homebuyers will need access to important down payment programs that can help them save,” said Rob Chrane, CEO of Down Payment Resource. 63% of homeownership programs have a first-time homebuyer requirement. This is defined by HUD as someone who has not owned a home in three years. 76% of programs are available in a defined area, such as a city, county or neighborhood. 24% of programs are available state-wide through state housing finance agencies. 5% of programs are available for community service workers, including educators, police officers, firefighters and healthcare workers. 8% of programs have benefits for veterans, members of the military and surviving spouses. These programs can also be layered with zero down payment VA loans. Nearly 70% of programs in the database are down payment or closing cost assistance. 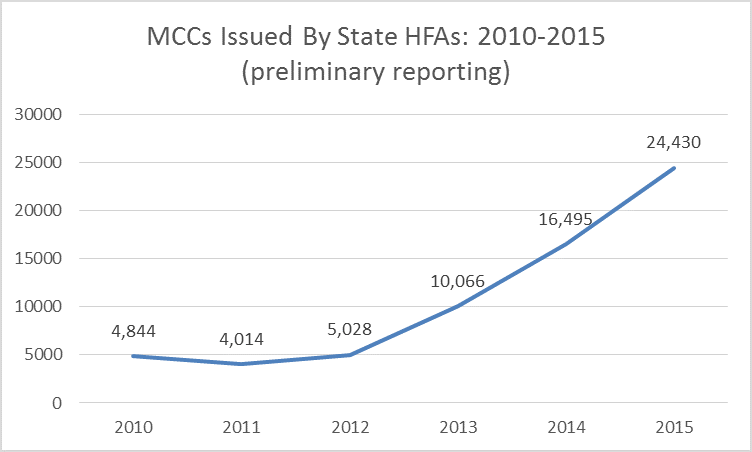 9% of programs are first mortgages and 8% of programs are Mortgage Credit Certificates (MCCs). States with the greatest number of down payment programs remains consistent—California, Florida and Texas are the top three. View a complete list of state-by-state program data. « FHA: Affordable or Not?